There’s a new Coffee Shop in Town! And this one is definitely not to be missed! Leamington Spa is rapidly becoming overtaken by a cafe and restaurant culture. This is no bad thing in my book. Especially if we continue to get interestingly delicious, freshly, made-on-the-premises food, delivered in a cool, contemporary and welcoming atmosphere as is offered by The Larder 23. 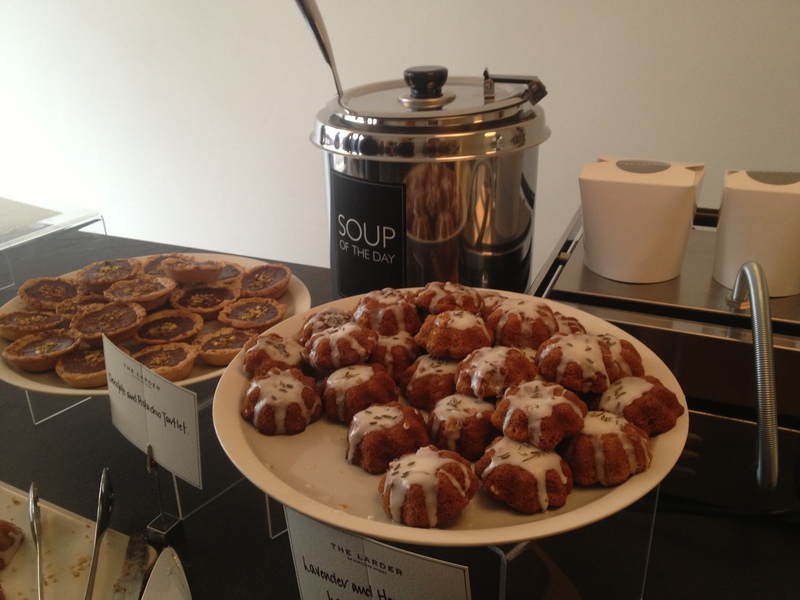 The Larder 23 is based at 23 Portland Street, just around the corner from Music Matters on Regent Street. it used to be an curious old shop that sold crystals if anyone remembers that..?? It’s of much better use now! A preview day was held on Saturday 12th October for friends, family and other ‘anon’s’ to sample the atmosphere, coffee’s, fresh juice’s and taster samples of their food. First of all let me describe the design: it is impeccably stylish and simple, echoing their tag line of “a simple, honest approach”. White washed walls and dark grey slate worktops, with accents of wooden shelving and green foliage. Beautiful. Seating space is located both on the upper and lower floor, where, past the fully working kitchen, there are a couple of tables sneakily tucked under an archway creating a chef’s table of sorts – a great place for meetings and private lunch parties. Each was simply delicious; full of a sublime combination of flavours, served fresh and beautifully presented. I could have stayed there all afternoon sampling the dishes and talking to the very welcoming and creative team behind The Larder 23, along with their guests. The atmosphere was vibrant and inclusive. In my mind the venue, the people, the food and the feeling, all added up to offer an exciting vision and inspiration – somewhere to enjoy and be part of. 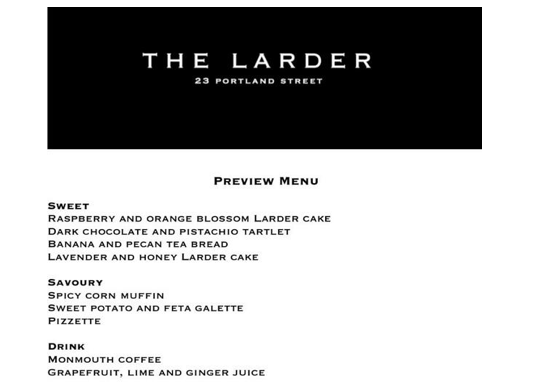 Good luck to all the team at The Larder 23 – I am sure it will be an absolute success! 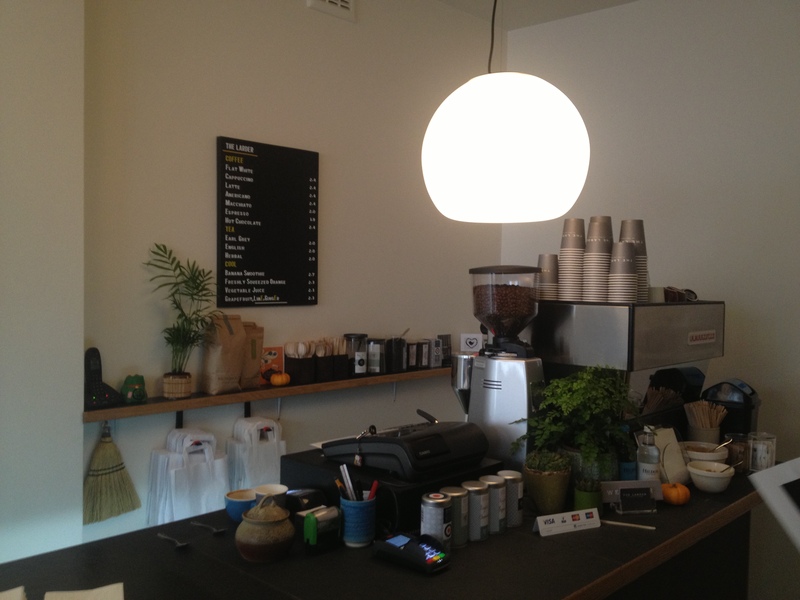 The Larder 23 opens its doors fully at 7am on Wednesday 16th October. This place needs to be visited and sampled by all!